Most paper-based organizations who perform field operations now realize they can save time and money, while improving business processes and productivity, by replacing their many static forms with a smart mobile form app. But for non-technical business users and potential citizen developers, the thought of creating apps for mobile devices can be daunting – even outright intimidating. Where do you start? How much work is involved? And what kind of technical or coding skills do you need? Thankfully, rapid mobile application development (RMAD) solutions allow non-technical users to build enterprise-grade, custom form apps for mobile devices, with no code required. By using an intuitive drag-and-drop interface, business users of all technical proficiencies can now unlock the value of mobile forms. 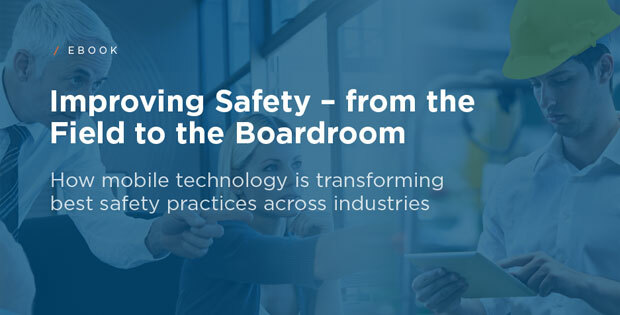 Non-technical users can easily build mobile-friendly forms, create workflows, and even integrate back-end systems like Box, Salesforce or SharePoint, without IT support – but with IT compliance. Building great mobile forms doesn’t end with finding an easier solution. Rather, it’s just the beginning of your journey from coffee-stained clipboards to the world of dynamic, responsive, and adaptive mobile forms. Conditional logic. Add context to mobile forms by applying conditional logic that automates tasks or actions when certain conditions are true, using an “if this, then that” structure. Conditional logic can be used to guide mobile users to relevant sections of a form required to complete complex tasks, with little training required. Repeatable sections. Questions, sections, and more can be built once and repeated dynamically based on user input. This can eliminate pages’ worth of questions and sections from each form, and you can even pre-fill or dispatch lists into repeatable sections to help speed workers through complex workflows. Control over document output. Adopting a mobile platform doesn’t mean changing everything: organizations often require outputs to look a certain way, and regulatory bodies or clients often need specifically-formatted documentation. Whatever your end goal, the ability to customize mobile form document outputs to your specifications – including different outputs for different audiences, all from the same form – is critical. Establish rules that trigger a client email, a PDF for compliance, and an SMS message to the relevant manager all from the same mobile form. Offline capabilities. Whether your mobile users work downtown or outside the city limits, they’ll inevitably run into situations of low or no connectivity. To combat this, your mobile forms must be versatile enough to collect data even when not connected to the network, then be able to upload that data to the cloud once connectivity is restored. No-code platforms. 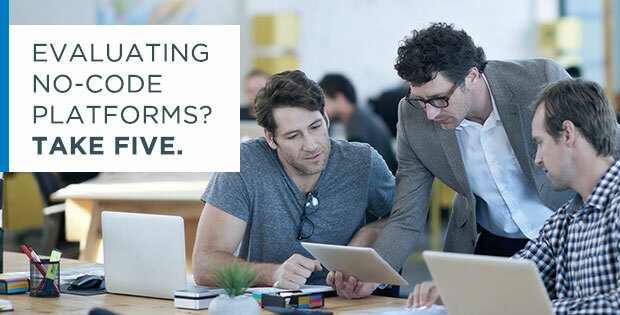 Unless you’ve got a team of coders waiting in the wings, you’ll need a platform that allows full functionality – including designing forms for mobile devices and connections to back-office systems – with no coding required to build your apps for the field. This includes a drag and drop form builder, and pre-configured integration options to connect with systems like Box, Google Drive, SharePoint and anything else. Automated data distribution rules. One of the best things about mobile friendly forms and workflows is the ability to automate data distribution to stakeholders. You can pre-configure sets of rules that trigger follow-up actions such as maintenance or repair requests, time-sensitive SMS alerts to managers or safety personnel, or even customer emails. Bulk-dispatch capabilities. This is a lifesaver for administrators who don’t have time to manually dispatch forms to dozens, or even hundreds, of field users, one at a time. New forms can be dispatched to field users, populated with data from real-time access to enterprise systems such as Salesforce, Box, AWS, ServiceMax, and SharePoint. Intuitive and convenient navigation. No one enjoys searching for pages in a complex collection of forms, especially at an outdoor job site in the middle of winter. 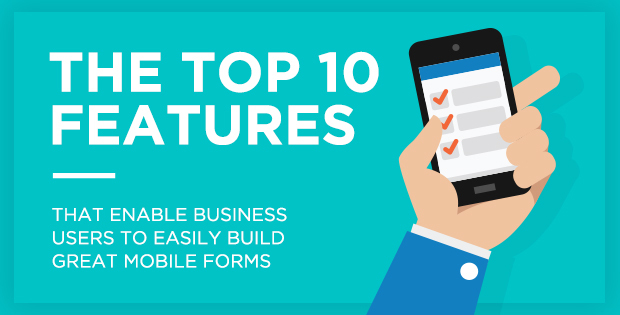 When building mobile forms, you can add everything – customer data, as-built diagrams, compliance rules, and other elements – into a single form that is clearly outlined to follow the needs of the job. Templates to recreate large forms quickly. Mass editing tools and templates can help save incredible amounts of time – and administrative frustration – when you’re faced with the task of adjusting or creating large numbers of mobile forms. Make a single change to a template to edit thousands of questions at once, and deploy to all users with a single click. Easy analytics via BI solutions. One of the most impactful features of mobile forms compared to paper is the ease in which data and analytics can be aggregated and pulled, ensuring the ability to deliver executive-ready reports whenever they are required (even on short notice), or on an automated schedule. Although the prospect may seem daunting, improving your organization’s productivity, workflows, and even cash flow with smart mobile forms is a lot easier than you might think. That’s how ProntoForms helped Johnson Controls International (JCI), an international HVAC equipment, electronics, and automotive parts conglomerate with revenues of more than $30B. JCI faced two main challenges: improving field technician efficiency when executing hugely complex work tasks, and speeding up its follow-up reporting after work was completed to improve service quality, invoicing, and cashflow. By deploying the ProntoForms mobile app to eliminate repetitive field data entry, while also integrating the solution with back-office data systems, JCI streamlined a follow-up reporting workflow that previously took an average of 67 days down to about a week including review. And because the company leveraged the app to build intelligent workflows for field technicians, its users are better supported and can complete work faster and more accurately. JCI also capitalized on real-time and easy-to-access data generated by the ProntoForms app, allowing it to improve business operations by identifying gaps in its processes. “We were able to take what would be 40 forms for us – 40 different pieces of paper – and it’s turned into one item on this application,” says Pat Foley, head of JCI’s Service Technologies, Innovation, and Strategies – North America. The no/low-code ProntoForms solution is the simplest and fastest time-to-value solution available. It’s business user focused and easy to learn, allowing the build of responsive web and mobile applications by everyday users in your organization. And as Foley explains, its automated governance means easy compliance and less headaches for IT (and everyone else). recently, was Director of Media Insights at Agility PR Solutions (formerly MediaMiser). 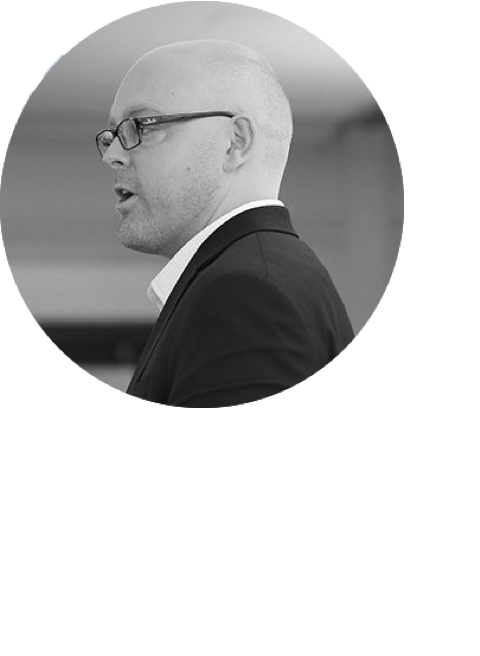 He’s got a Master of Journalism degree from Carleton University along with 15 years of professional experience creating, editing, and managing content, marketing and communications projects. Evaluating no-code platforms? Take five.